Marc is the co-founder and CEO of AcceptU, a counseling program that connects college and grad school applicants with former admissions officers. These counselors provide 1-on-1 virtual support — by phone, Skype and email — that empowers applicants with the inside knowledge and actionable advice needed for a competitive advantage in the admissions process. He has an MBA — with a concentration in both Entrepreneurship and Customer and Product Management — from the the University of North Carolina’s Kenan-Flagler Business School and graduated with a bachelor of arts in history from Cornell University. Marc served as the 2009 Young Entrepreneur in Residence (YEiR) at NC IDEA, a venture capital firm in the Research Triangle Park. In this position, he was actively involved in the grants program — analyzing business plans, conducting due diligence, performing market analysis — while also consulting two recent recipients, StatSheet and Green Cooling Group. At UNC, Marc was chair of the Admissions Advisory Board, where he developed a new MBA application essay question. He also ran the Carolina Entrepreneurial Fellows, which connects and places 5-7 first-year MBA students with local entrepreneurs for summer internships. 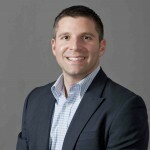 Prior to moving to Chapel Hill, Marc spent two years in business development and content strategy at D.C.-based Internet start-up RevolutionHealth.com, during which time the company grew from 20 employees to over 250. Founded by Steve Case, co-founder of AOL, Revolution Health was acquired in 2008 by Waterfront Media in a deal valued at $300 million. Marc is the author of Untangling the Ivy League, the first college admissions guidebook focused exclusively on how to get into the nation’s most competitive schools, which sold 6,000 copies. His writing has also appeared in various magazines, newspapers and books, including the New York Times, Washington Post, People and the Times’ Practical Guide to Practically Everything. An avid traveler, he has visited over thirty countries in the last two years. His adventures have included a trip around the world in 80 days, month-long overland through Southern Africa, trek to Everest Base Camp in Nepal and a bone-chilling mid-winter trip to Russia. Marc was a founding board member and treasurer of the Cornell Star & Crescent Foundation, a position he maintains. In his free time, he enjoys jogging, photography, and obviously, traveling.